Glassridge provides Rental Property Investment Loans for savvy investors looking to buy and hold real estate. Maybe you are considering a single family residence or Condo? Or perhaps a townhome or 2-4 multi family unit? There are benefits to these specific types of purchases as they have the potential to provide a reliable and substantial monthly income, helping you to focus on further ventures. With Glassridge's Rental Property Loans, we can provide you with the necessary funding for projects such as these. 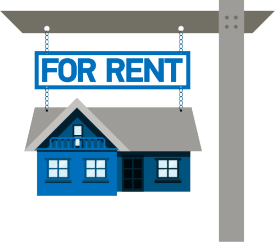 Why a Rental Property Loan? Whether your intentions are to simply buy and hold a rental property, in order to collect rent from the tenants; or to do this on top of adding more value and substance to your portfolio, Rental Property Investment Loans are the wise choice for seasoned investors, as well as those just beginning to expand their knowledge, income and reputation.Glassridge is one of the leading Capital Groups in the country, which is why we are able to provide our clients with fast, reliable and quality services, such as our Rental Property Investment Loans.